Magnelis® is a unique steel coating which provides long-term corrosion protection – even in the harsh environment of poultry farming. Backed by a guarantee of up to 20 years, Magnelis® reduces the total cost of ownership for poultry housing, water and feed systems, and processing equipment. And at the same time, it reduces the risk of disease spreading through a flock. The remarkable corrosion resistance property of Magnelis® comes from its unique composition. Developed by ArcelorMittal Europe – Flat Products, the coating includes zinc, 3.5% aluminium, and 3% magnesium which combined provide excellent surface and cut-edge protection, even in the most hostile environments. When exposed to the environment, Magnelis® forms a very dense, zinc-based protective film. Unlike galvanised metal, the film also forms on edges, welds, perforations, and scratches. It is almost impossible for the environment to penetrate this film. The result is perfect protection of the whole structure over the long term. Magnelis® gives manufacturers the freedom to optimise designs of their poultry equipment thanks to its ability to protect deformed zones. This gives deformed steel shapes exactly the same protection as flat surfaces and is a key advantage compared to other metallic coatings. 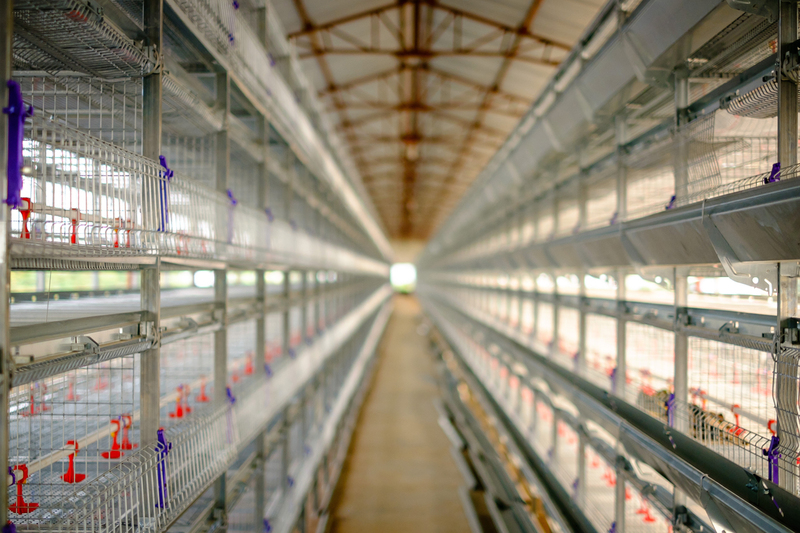 In poultry farming, the dense Magnelis® coating resists both ammonia and humidity. It withstands the effect of highly corrosive chicken manure which creates the harshest environment Magnelis® has ever had to withstand. Poultry waste is full of bacteria which can result in disease spreading quickly through a flock of birds if it is not cleaned away properly. Bacteria typically lurk in the corroded parts of cage systems and equipment. Although there is a cost difference between products treated with Magnelis® and other corrosion protection systems, poultry farmers today appreciate its low total cost of ownership. Magnelis® can extend the life of systems by three times compared to regular galvanised steels. Compared to products made with stainless steel or post-galvanised Magnelis® provides high level corrosion resistance at a significantly lower cost. The use of Magnelis® can also limit the need for thick post-painting. This leads to both cost savings and productivity improvements in manufacturing, while the extended durability of Magnelis® results in reduced maintenance over the equipment’s entire lifecycle. And at the end of its long service life, steel coated with Magnelis® can be fully recycled to create new steel products. This enhances the sustainability of poultry farming dramatically.